DSATS Annual Traffic Counts - TADI - Traffic Analysis & Design, INC. DSATS Annual Traffic Counts - TADI - Traffic Analysis & Design, INC.
TADI's Role: Collect data throughout DSATS region and report on identified trends in traffic growth and routing patterns of vehicular and truck traffic. 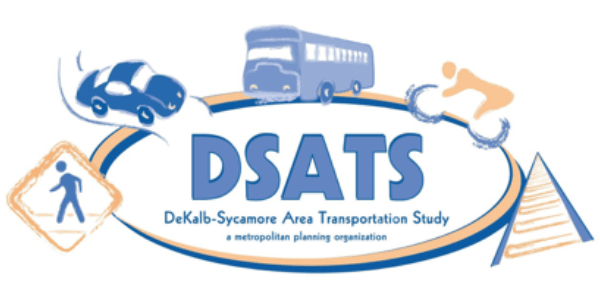 The DeKalb-Sycamore Area Transportation Study (DSATS) is an annual data collection study to identify trends in traffic growth and routing patterns in the DeKalb, Sycamore, and Cortland, Illinois area. For the 2016 study, TADI utilized its digital video equipment and pneumatic tube counters to record 72 consecutive hours of traffic activity at 28 locations within the DSATS study area. The resultant count data were summarized and reviewed for consistency across each of the three days, and all data that passed TADI’s quality control measures were averaged to yield Average Daily Traffic (ADT) and Average Daily Truck Traffic (ADTT) volumes. Using the ADT and ADTT volumes, TADI was able to compare the 2016 data to past years’ data to observe any shifts in traffic behavior from year-to-year.